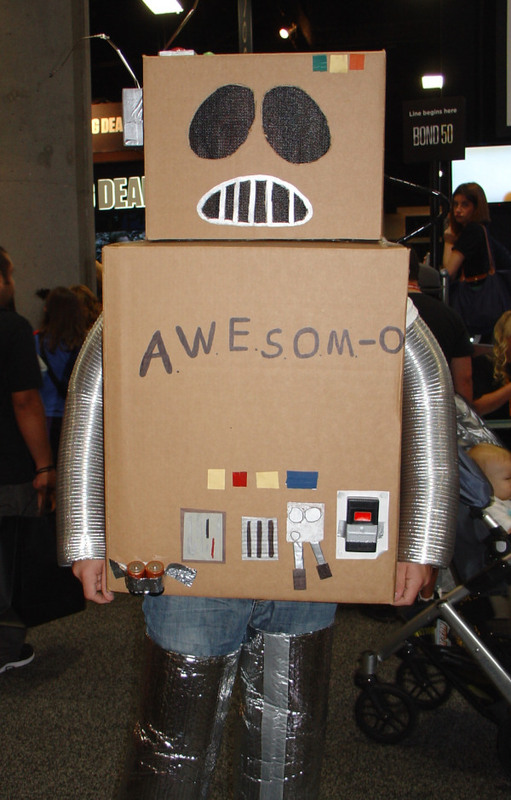 So we're live at the 2012 San Diego Comic-Con -- and we're kicking things off with some cosplay! If you've been to one of these shows, you know that these are only a small sampling of the cosplayers on display. You also know that, while they're all pretty cool, there were a lot of amazing cosplayers that I didn't get to shoot -- because my camera batteries aren't immortal, and also because I'm only one person and not Superman. I guess Spider-Man would have been the more appropriate reference there, but what have you. 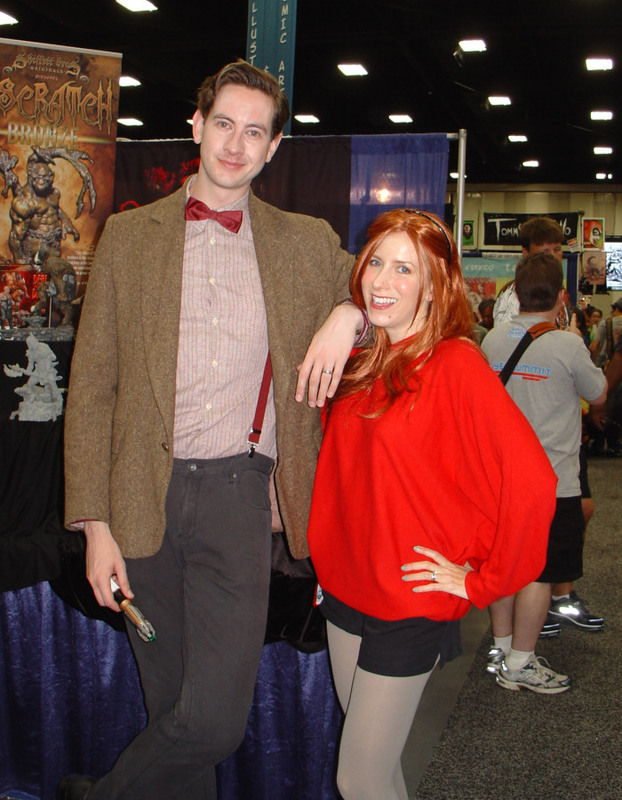 So we'll kick things off with the first cosplaying pair I photographed -- because I wasn't even sure how much cosplay photography I was going to be doing this year until I saw the Doctor and Amy Pond and couldn't stop myself from asking for a snap. Or grinning from ear to ear. 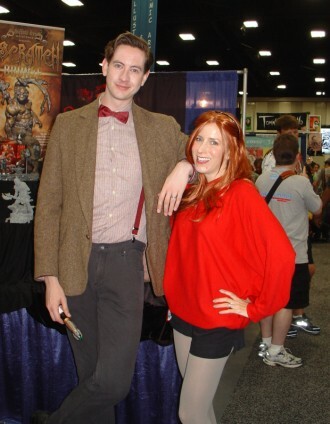 Even though I don't even really like nuWho or Amy Pond. Maybe it's because that woman looks a bit like Jennifer Aniston? 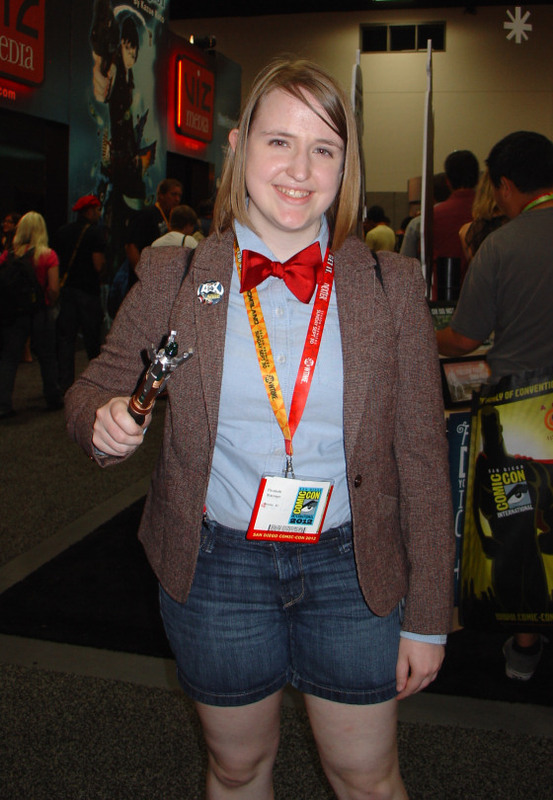 And the Doctor recognized my TARDIS key necklace, which was cool and prevents me from hating him too much. EDIT: As noted by Dustin Vilmur on Facebook and Jester and Ewan in the comments, this isn't a Wolverine Clone Trooper combo -- it's a cross between Logan and a Mandalorian a la Boba Fett, which somehow makes it even cooler. Or at least I guess it does; I clearly wouldn't know for certain! Anyway, thanks for the correction, guys. This woman was posing for photos at the Mattel booth (I assume she works for Mattel), so her costume is a little less impressive in terms of homemade virtue. But it certainly gets props for being another character I've never seen cosplayed before... or at least a version of a character I've never seen cosplayed before. Parents were pointing and saying, "Look, She-Ra!" to their drooling spawn, but this is proof positive that sometimes Mommy and Daddy are dead wrong. This is not She-Ra -- this is (Battleground) Teela. Totally different characters. More uniqueness! 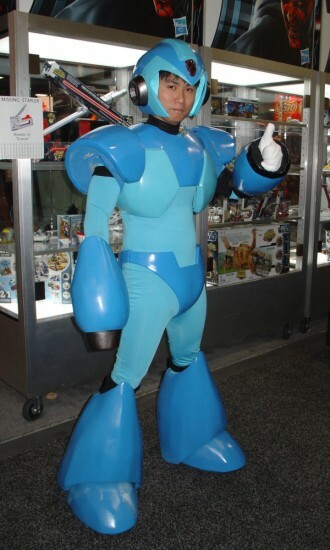 I'm pretty darned sure this isn't the first Mega Man cosplay I've ever seen, but it's undoubtedly the best. This guy was even rocking the ridiculously oversized boots! I wish I had a pair like them. 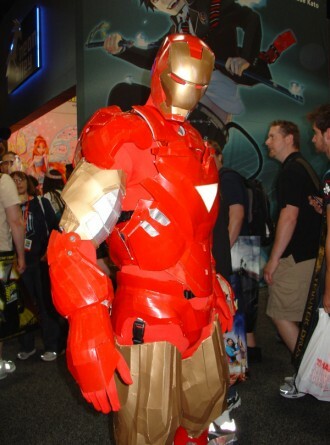 Iron Man, Mk VI. Hard to capture on film, but his arc reactor even lit up -- impressive! -- though the eyes stayed red. So maybe this is Iron Man taken over by an evil program. 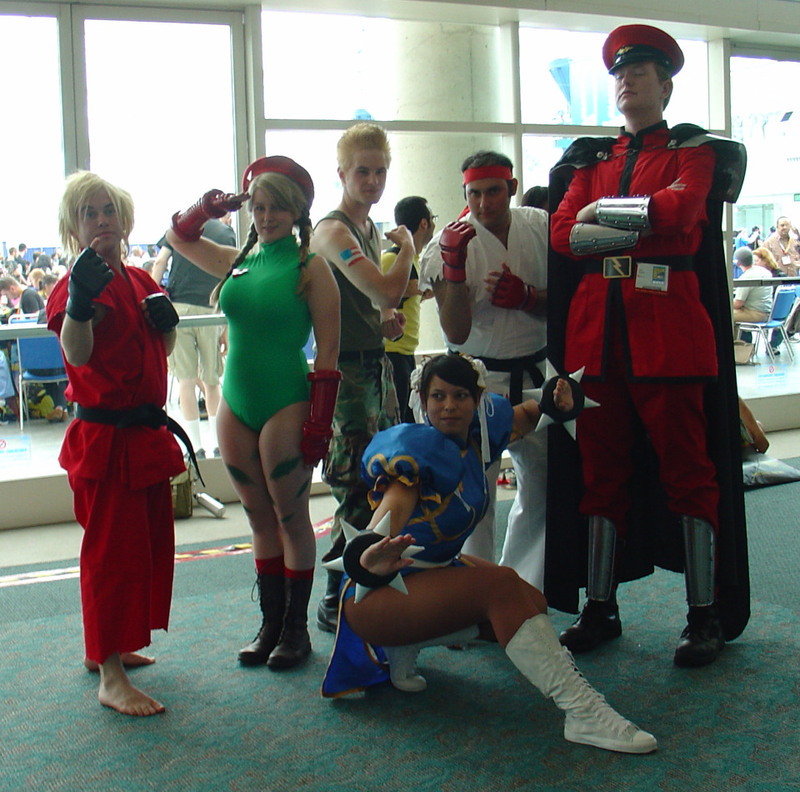 And finally -- a Street Fighter group shot! Discipline and commitment like this really bring a tear to my eye. If the five to the left teamed up and brought Bison to justice, the mantra would be complete. 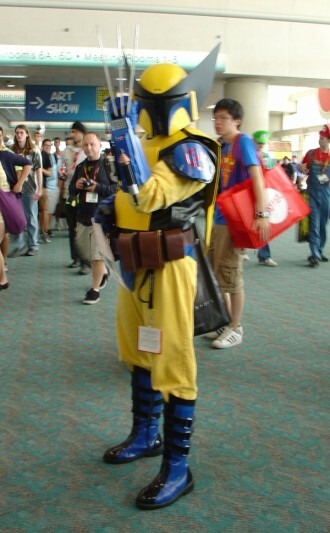 Um...Wes, that's a Boba Fett/Wolverine mix. Yeah, Boba Fett. But who can tell with that distracting yellow armor?!?! Lol. Keep it comin', Wes! Great stuff! I don't know how Disney would feel about making Mandalorian X-Men, but if such a crossover could be anywhere near as good as the X-Men/Star Trek comic, it would be worth buying. Oh god I didn't even know those were real things until now. I now have to live with having Googled that. ... and why would Raphael be a medical officer?! They've got this all messed up, Donny should be the Engineer, NOT Mike... oh, now I have to be angry about this decades after the fact! Naturally, Raph is Bones so he can cuss, and Mikey is Scotty so he can eat marshmallow and haggis pizza without too many questions. Well how am I supposed to imagine them on their very own starship if they've already been assigned roles on the Enterprise? No, no, this doesn't add up at all!